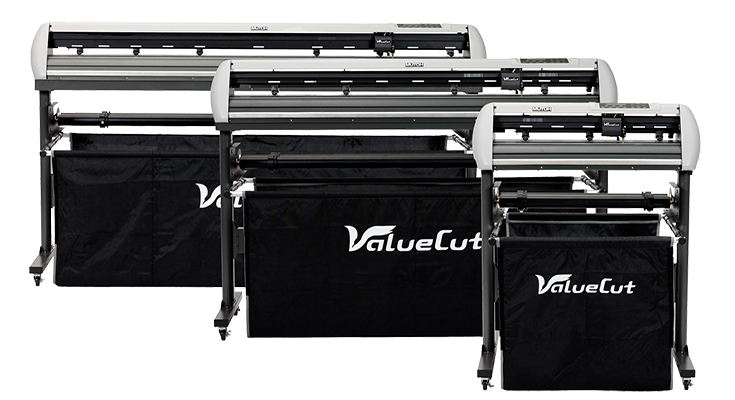 Mutoh’s ValueCut 600 cutting plotter is equipped with 3 pressure rollers. 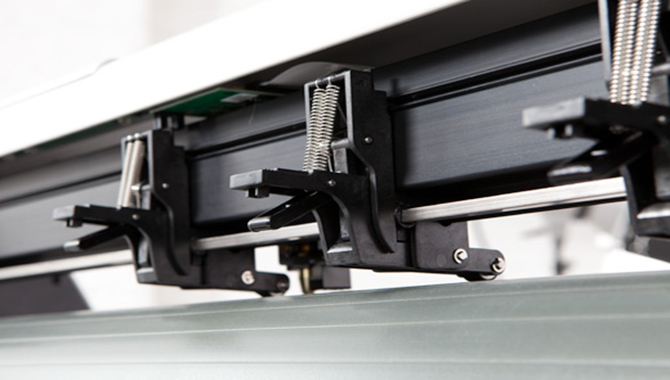 The cutting force up to 600 g guarantees optimum cutting results on a wide range of materials.. Cutting speed is adjustable up to 1080 mm/s at a maximum acceleration of 3 G, which enables a cutting speed up to 1530 mm/s and an acceleration of 4.2 G in diagonal movements.. The Mutoh ValueCut 600’s pinch roll – grit roll tandems will give you perfect media tracking. 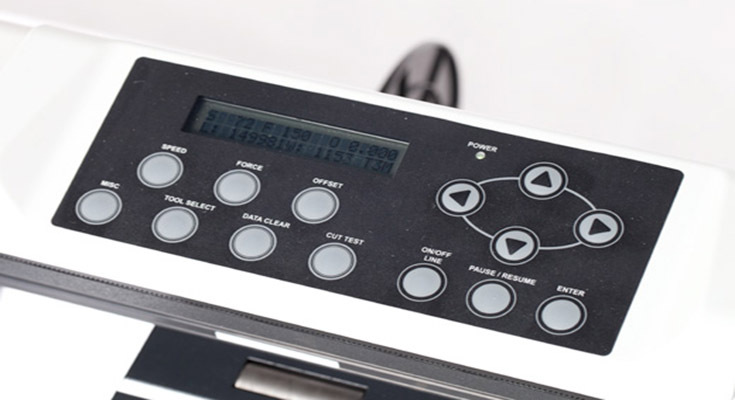 Delicate media and preprinted signs for contour cutting jobs can also be perfectly accommodated and will be safeguarded from pressure roll marks since the pressure rolls can be individually disabled. 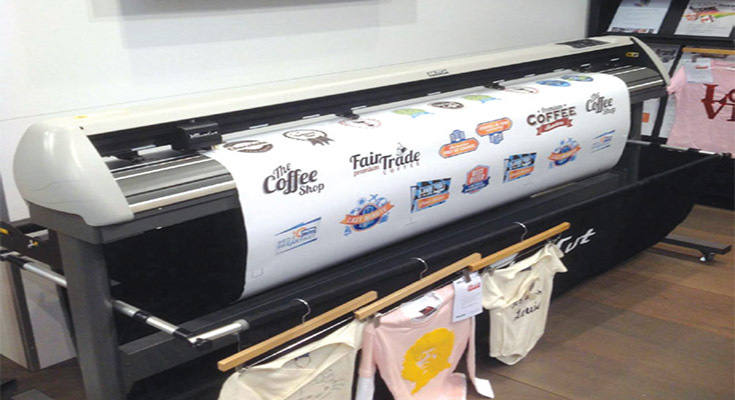 The Mutoh ValueCut 600 cutting plotter is standard delivered with: roll media mount system, blade holder, oily ball-point holder, knife, safe blade, cutting mat & FlexiSTARTER™ 10 software. For optimum efficiency, design and production can even be spread over 2 different workstations in your network. No threshold fear if you are an expert in SignLab™, Adobe®, CorelDraw or another popular package.Your life will be made easy by the “Workspace Control” feature, which will make Flexi look and feel like the packages you are familiar with. You will be impressed by the multitude and the power of the import and export filters. The export functionality will allow you to prepare designs for output with any printer-RIP combination in your workshop and still yield perfect contour cutting.FlexiStarter™ is no “blind alley software”. Upgrades to higher levels of the Flexi FAMILY are available for you, now and in the future. safety signs & promo stickers.